Cheers Elephant is a band capable of fully developing tracks on multiple layers with stand-out vocals and great instrumental harmonies. It is one thing to be capable but another to execute. We posit they do just that, execute groovable/rockable/danceable music. Their sound is always engaging and their sets are always a good time. Doin’ It Right off their 2012 release Like Wind Blows Fire is one of our favorite tracks of the year. At last count, 93 plays. The obsession with this track started on record store day of this year when we bought one of their albums after their live performance on South Street outside Repo records. A Lantern is a device used to illuminate an area desired by the wielder. 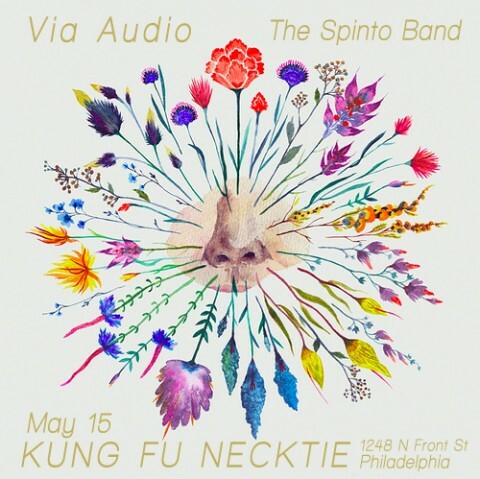 On July 11, 2012 the Philly-based rock heavyweights of the same name decided that they wanted to see Fishtown lit up with plain nasty guitar work by both Zach and Emily, bass line trade offs, booming saxophone, hints of harmonica, and steady percussion. The performance was the first of their summer tour and had the crowd intrinsically hooked. On the heels of yet another diverse and powerful tape now out of Bathetic Records, Lantern continues to put out fully developed albums in variously intertwined musical dialects. Drawing comparisons would potentially derail clearly seeing the minds that drive the direction of the band for what they are: immensely talented and original. This is not half-cocked derivative sound. We love it and wish concerts were more frequent. Music needs musicians and sound like this.